MVCTC Business Ownership program has a BPA State Officer Candidate! 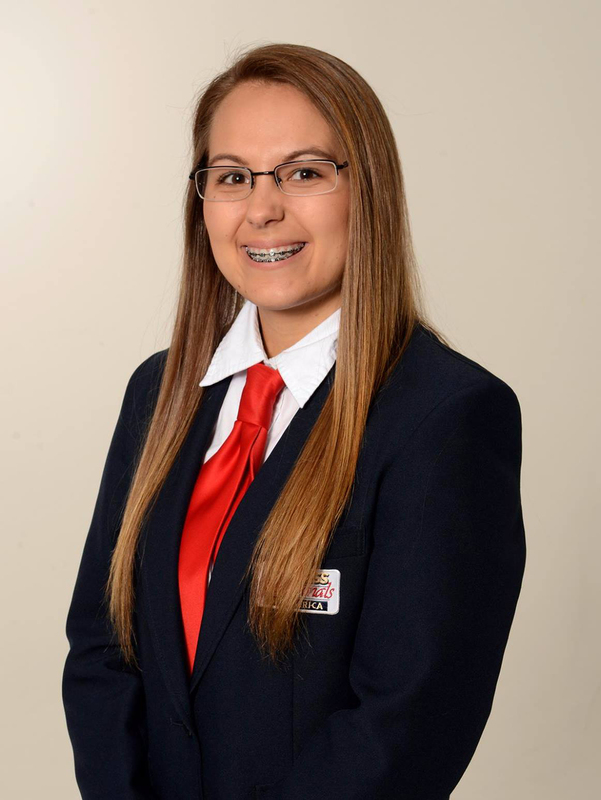 Englewood, Ohio – Kaitlan Thompson (Arcanum High School) recently completed BPA State Officer Screening and was one of 13 students selected to be a State Officer Candidate. She has been dedicated to Business Professionals of America (BPA) since the start of her junior year at MVCTC. Aside from competing and placing first at state, and making it to nationals, Kaitlan has always been drawn to serving in BPA. Through her dedication and hard work, Kaitlan has become the Business Ownership Class President, the MVCTC BPA Chapter Treasurer and is now a candidate for the BPA Ohio Association. There were 72 applicants that screened to become the next BPA state officer for the Ohio Association. To screen for state, students had to deliver a 2-minute speech, answer interview questions, take a written test over BPA facts and Roberts Rules of Order, and write an essay all in a couple of hours. Kaitlan prepared for weeks in advance by studying many packets of information and re-writing her speech until it was perfect. She was able to accomplish this goal above and beyond her daily school and work requirements. Congratulations to Kaitlan Thompson for her accomplishments. Good luck making it as a BPA Ohio Association state officer! The MVCTC Business Ownership Tech Prep program focuses on entrepreneurship and teaches students how to start and manage a successful business of their choice while completing fun activities to gain hands on experience!” Students receive training in the Microsoft Office Suite. Business Ownership is a College Tech Prep program, which guides students to do additional learning at Sinclair Community College in Entrepreneurship or Business Management Associate Degree programs.